With Shields, they still sound like Radiohead at a Buddhist retreat, but the songs are more muscular. Grimes isn't spooky enough to be "ghostly," and not substantial enough to hold your attention. The melodies, guitar­scapes and thrift-shop organ swells make for exquisite comfort. 8. 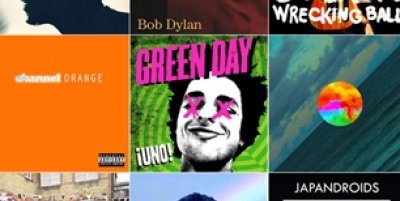 Green Day - ¡Uno! Lamar is an unlikely star: a storyteller, not a braggart or punch-line rapper, setting spiritual yearnings and moral dilemmas against a backdrop of gang violence and police brutality. When Ocean reins himself in, tucking his words and melodies into tighter verse-chorus structures, the songs have startling force.